I have some super exiting news to share! 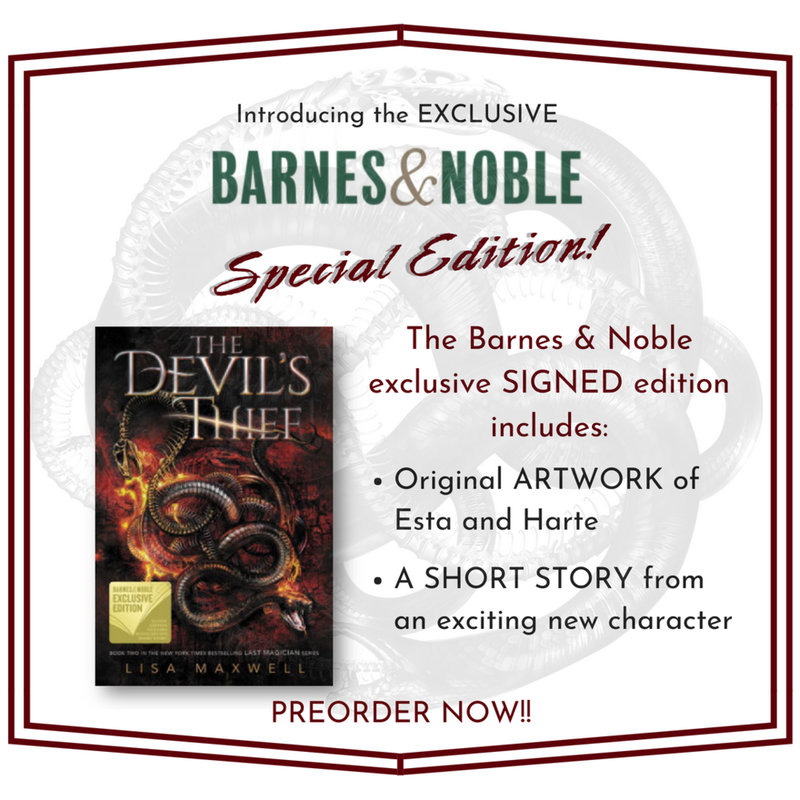 Barnes & Noble will be selling a special signed edition of The Devil's Thief! The special edition is ONLY available through Barnes and Noble, and the signed edition is limited, so be sure to order early if you want to get one! The exclusive edition includes a gorgeous portrait of Harte and Esta and a short story that you won't find anywhere else! If you preorder before 10/9/18, send proof of purchase to tlmpreorders@gmail.com and I'll send you even more signed swag! It's Time to Join the Devil's Own!